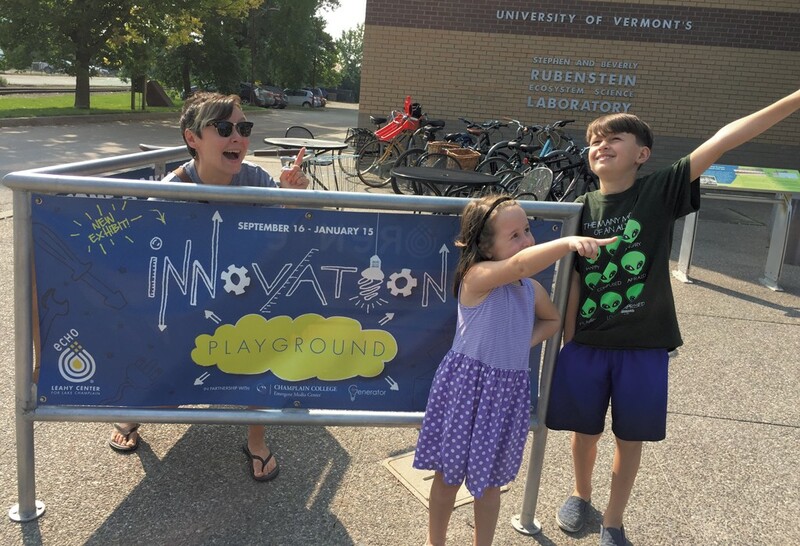 Exploring ECHO's Innovation Playground | Destination Recreation | Kids VT - small people, big ideas! To enjoy a fun, casual family outing free of bickering and whining. Heather: Yours truly. Stay-at-home mom, chief organizer of the Polifka-Rivas household. Always up for an adventure and challenge. Karl: The husband. Eternal optimist as long as he is well caffeinated. Ruby: The 5-year-old daughter. Generally loves to hang with Mom and Dad but occasionally needs the promise of a creemee for additional motivation. Henry: The 9-year-old son. A homebody on the weekends who needs a lot of cajoling even to agree on getting in the car. Once at his destination, his 'tude changes and he usually enjoys himself and, gulp, even his parents' company. The newly opened Innovation Playground exhibit at ECHO. We paid our admission, got our hands stamped and headed into the temporary installation. A room filled with large foam blocks and emanating beeps, blurps and pings greeted us. Ruby immediately started to doodle at a water painting station, while Henry found a shadow puppet light box and began creating an elaborate world. The exhibit, created in partnership with Champlain College Emergent Media Center and Generator maker space, is divided into different experiential stations that celebrate play and its role in encouraging innovation. 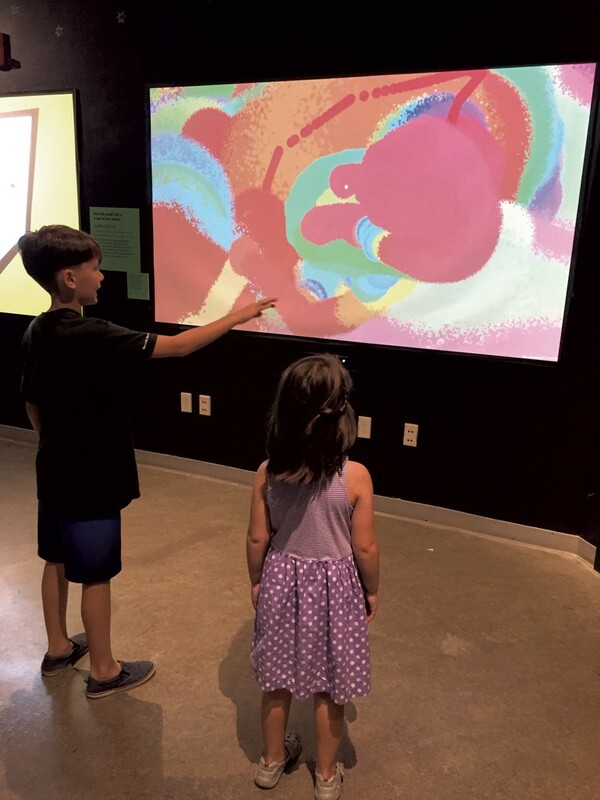 A sensor-powered projector allows users to "paint" brightly colored designs on a large screen, while a cardboard-box rocket ship connected to a digital display makes kids feel like they're actually cruising through space. Ruby hopped into the box to give it a try. When she leaned left or right, the ship on the screen followed her movements, enabling her to bob and weave through an asteroid field. The activity even included pew pew laser sound effects. Full disclosure: Both my husband and I had to resist the urge to push Ruby out of the way so that we could have a turn. The exhibit showcased work designed by local college students, prompting me to wonder if perhaps Henry's video-gaming obsession might serve him well someday. One such activity required users to interact with three items — a rocking horse, a ship steering wheel and a set of bongos — to try and move a small square to a target. While the complexity of the task was a turn-off for Ruby, my son, husband and another museum visitor joined forces to figure out the game. I'm not entirely sure they mastered it, but it was fun to watch them try. 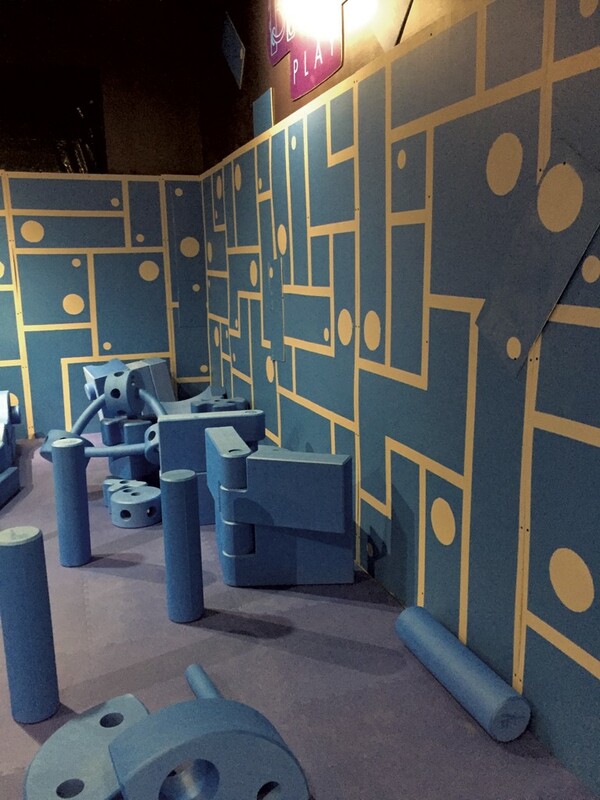 By the end of our visit, the four of us were totally engrossed in building a huge robot creature with the giant blue foam blocks scattered around the space. Ruby held up the body, Karl and I wrestled with some of the larger pieces and Henry dashed around looking for antenna parts. It was a great opportunity to be playful, creative and collaborative as a family. In fact, I can't remember the last time we all got along this well. Mission accomplished. Innovation Playground runs through January 15, 2018. As of September 30, the exhibit also includes a maker space with a rotating set of STEM-based programs — on topics from circuits to robots — that encourage tinkering and play. ECHO Leahy Center for Lake Champlain is open year-round from 10:00 am to 5:00 pm, except for Thanksgiving and Christmas Eve and day. Admission is free for ECHO members and kids age 2 and under; $11.50 for children ages 3-17; and $14.50 for adults. Vermont residents get $2 off the price of admission.